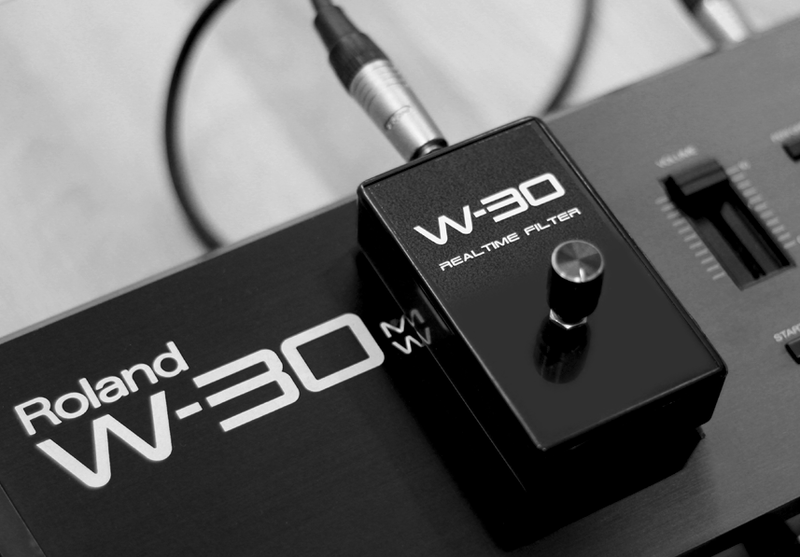 This is a very simple box that allows you to control the Roland W-30 filter in realtime! Connect the W-30 realtime filter to the EV-5 socket by a stereo jack. The trick is to set the EV-5 to receive the control 2 (Breath Controller) and the Breath Controller to the Aftertouch (to do it press Config2/F4 in the performance mode) and save your preferences in the System disk (Save/F1): now, you can manage the cut-off in your sounds by the realtime filter. In the patch parameters assign the aftertouch (AT assign) to the Cut-off (C-O) and set the Cut-off in the tones you want to filter. If you want to try the realtime filter download the JP-8000 disk image (you can convert the image in a real floppy disk using Omniflop): I sampled the sounds from a Roland JP-8000 and looped them.